3824 51Pl.19 2 ½ P. Dark cobalt, plate 19, horizontal pair, fresh colors and in perfect condition unused. Michel 640,- €. 3825 ⊙ 118 1 pound King Edward VII, wonderful fresh colors and very well perforated with centric mounted clear two ring cancel \"jersey\". An outstanding quality for the highest standards! 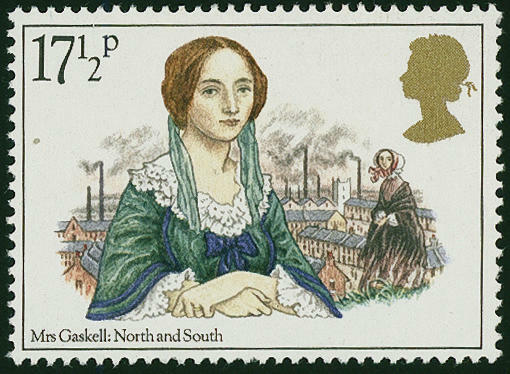 3826 844Abart 17 ½ P. Gaskell 1980, very scarce variety \"colour dark rose missing\", in perfect condition mint never hinged by Michel catalogue unlisted! 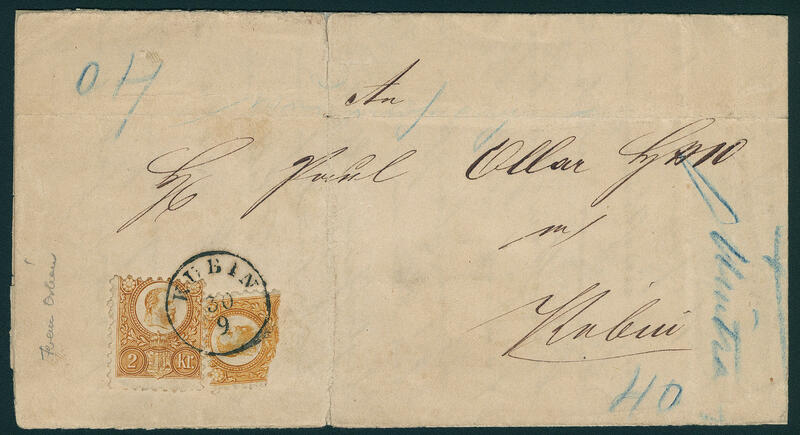 3815 ✉ 43 30 Lepta brown, having bright colors, on all sides full to piece in outstanding quality with enormous margins with large right margin of sheet on decorative cover with clear two ring cancel \"KEPYPA\" from 1879 over Brindisi mailed to Venice / Italy. So nice margin copies the large Hermes heads are on cover very rare! 3816 ⊙ 106 5 Dr. Olympic games 1896, fresh colors and neat cancelled Michel 400,- €. 3817 ⊙ 585Abart 1600 Dr. Marshall plan 1951 with extremely strong missing print, neat cancelled an especially distinctive and impressive variety, extremely rare! 3664 ✉ 9/11A 20 Ã¸re red, 70 Ã¸re violet and 1 crown yellow, all three values wonderful fresh colors and in perfect condition as very nice three colours franking on complete package card with oval cancel \"Greenland STYRELSE\" to Jacobshavn. An especially nice and rare document! 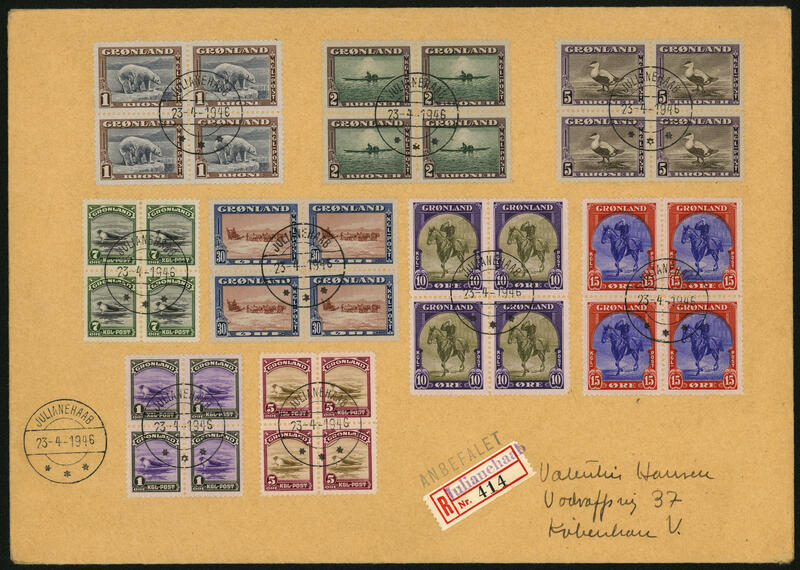 3665 ✉ Aug 16 Postal stamps set 1945 in blocks of four, wonderful fresh colors and very well perforated on especially decorative registered cover, all blocks of four especially nice centric and neat cancelled \"JULIANEHAAB 23.4.46\". Unusual decorative and rare! 4247 ✉ 8aH The KUBIN Provisional arrangement: 2 Kr. 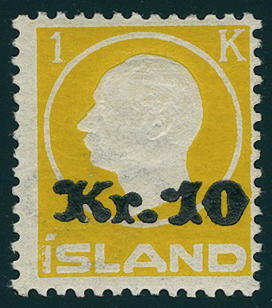 Orange with a bisects the 2 Kr. 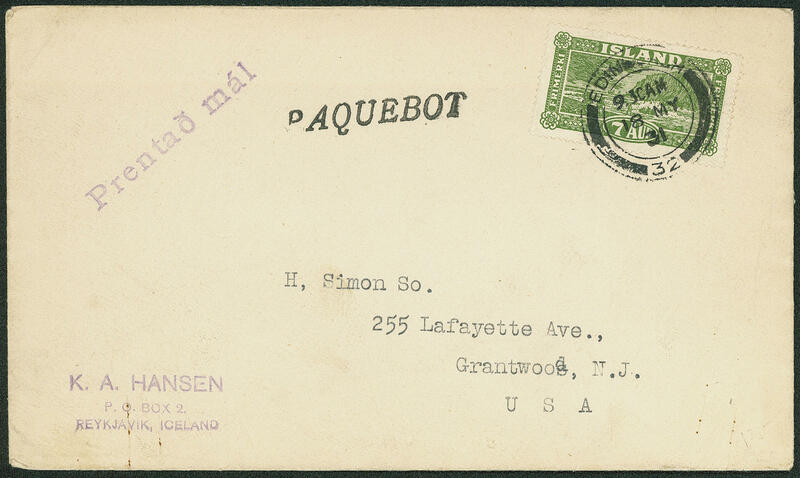 Orange yellow on correctly franked gef. 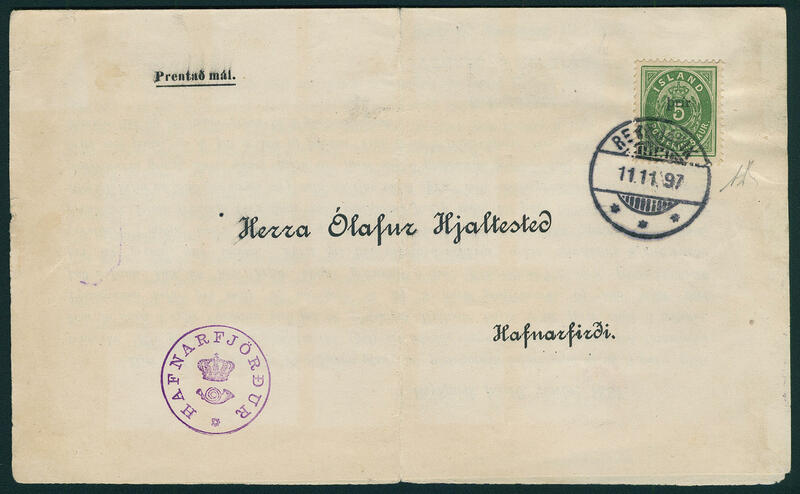 Local letter with content and dated with clear single circle postmark \"KUBIN 30.9. \" (written in Kubin at the 28. 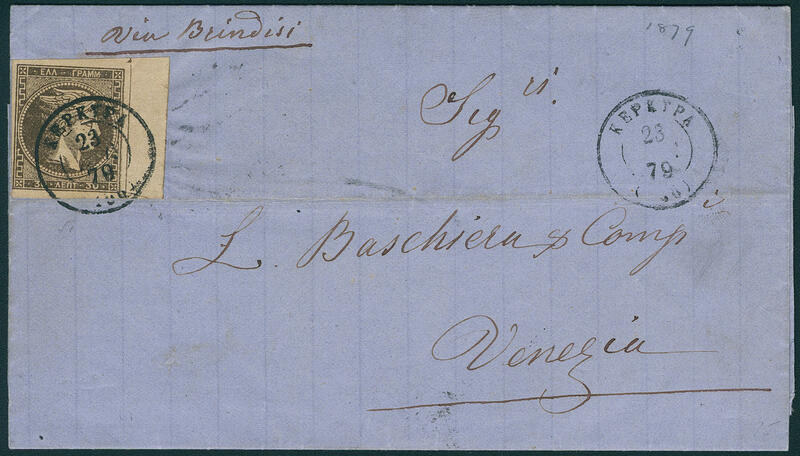 September 1873), from a lawyer, from consignee not accepted with notation of the postmaster. Also the cover with of the lower half the bisects is known and in the Dimitrovic archive under the no. 4 indicates. The here offered cover is there under the no. 28 listed. 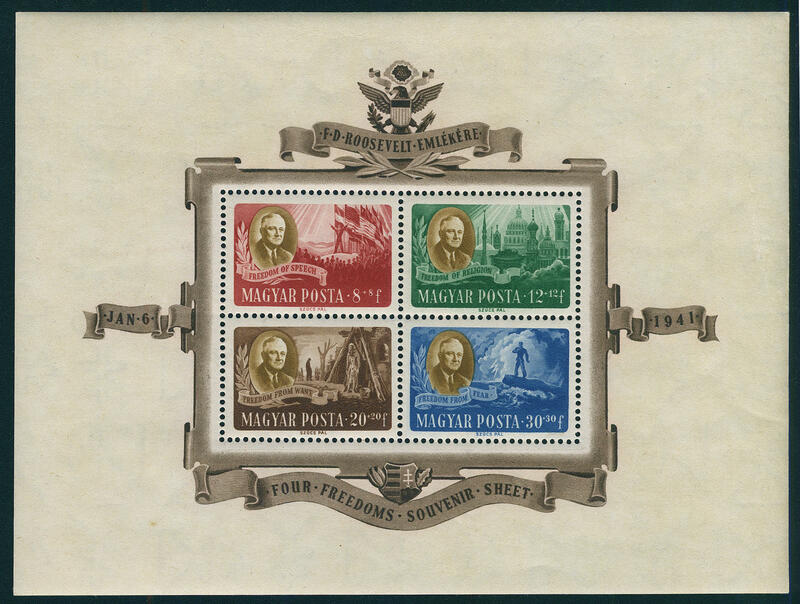 Besides is he in the Hungarian periodical Philatelica depicted (2. 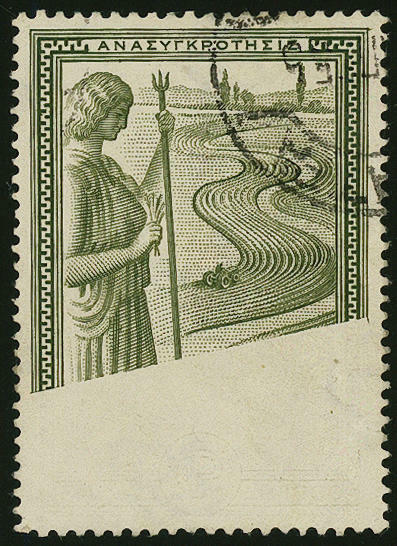 Issue of 1989). One of the large rarities the classic Hungaria philately! Photo expertize Ferenc Orban. 4248 379I 5000 Kr. Madonna 1923 with inverted centerpiece, wonderful fresh colors, in perfect condition unused with original gumming, a minimal shorter thooth tip is virtually meaningless. 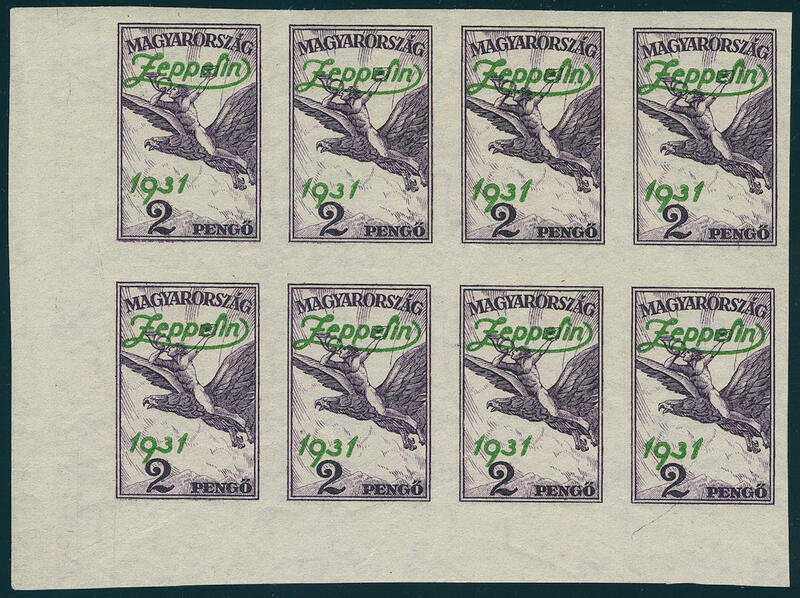 This printing error belongs to the most spectacular rarities the European philately. Less than 100 copies of these have been discovered, from which be 38 pieces in Museums find. 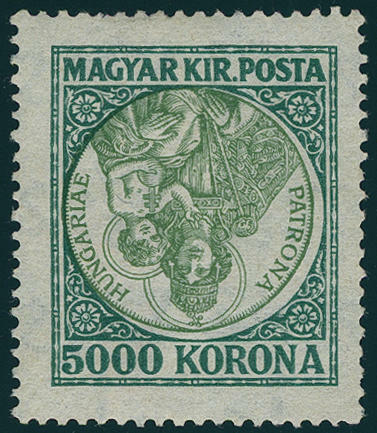 The coronation of an advanced special collection Hungary! Expertized Calves, photo expertize Friedl Expert committee / Herbert Bloch / New York. 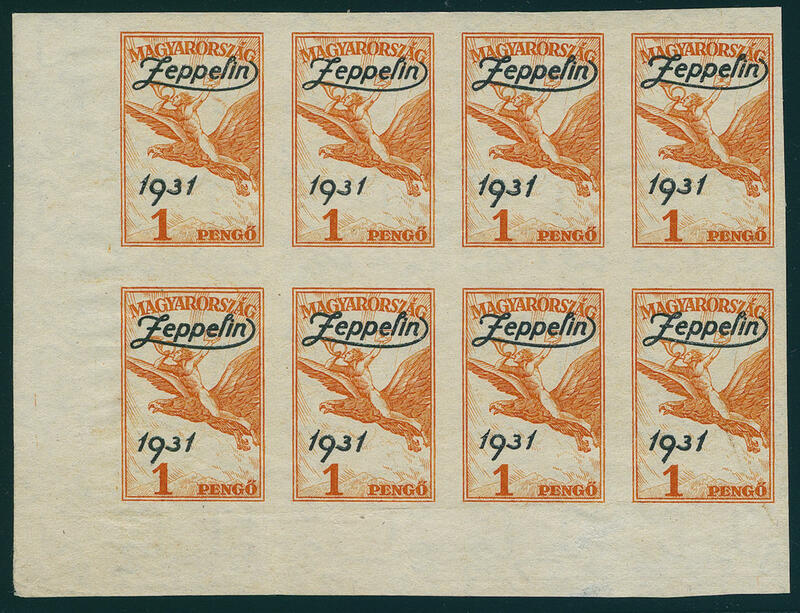 4249 478/79U Zeppelin series 1931 in unperforated blocks of eight from the left lower corner of the sheet, fresh colors and large margins all around, in perfect condition mint never hinged, without any signs. 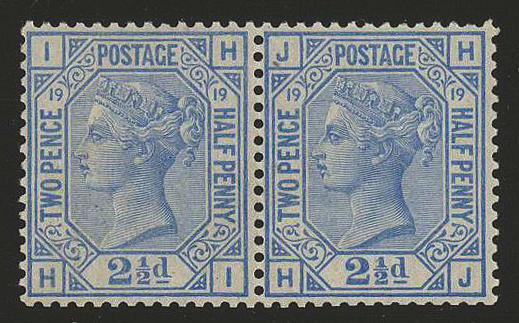 Already single a scarce set. By this multiples is a spectacular rarities Hungary! 4250 Bl.10/11 Roosevelt souvenir sheet pair 1947, in perfect condition mint never hinged Michel 200,- €. 4251 Bl.10/11U Roosevelt souvenir sheet pair 1947 unperforated, fresh colors and in full original size, in perfect condition mint never hinged, without any signs. A scarce issue, by Michel unlisted! 4252 1626AAbart 60 F. Soviet probe Luna 2 1959 with very rare variety \"missing colour red\", fresh colors and very well perforated, in perfect condition mint never hinged these variety counts to the large rarities Hungary and is only in few copies have become known. A rarity for the advanced Hungaria or space collectors! 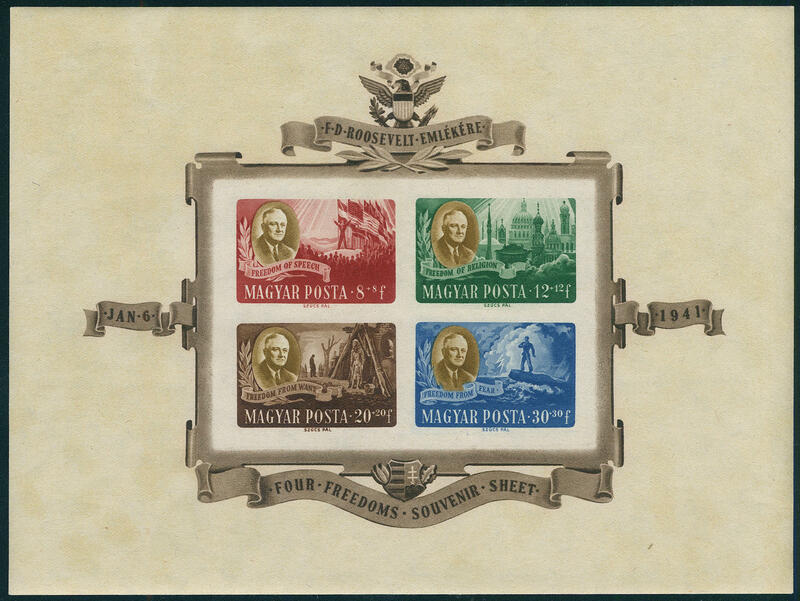 Photo expertize Gabor / International Association for Philatelie Experts. 4253 2323/29B Danube Commission 1967 unperforated in blocks of four from left margin of sheet, in perfect condition mint never hinged Michel 1200,- €. 3828 ✉ 19BI 3 A. On 5 A. 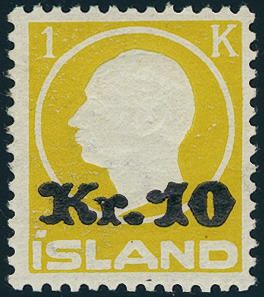 Green, overprint type I, fresh colors and in perfect condition on printed matter with neat postmark \"Reykjavik 11.11.97. \", in the middle outside of the franking folded, to Hafnarfjördur with arrival postmark, the document above with tear, rare, expertized Diena. 3829 111 10 Kr. On 1 Kr. Yellow, wonderful fresh colors and very well perforated, in perfect condition mint never hinged in perfect condition. An exception copy for the highest standards! Photo expertize Dr. Debo BPP. 3830 111 10 Kr. On 1 Kr. Yellow, wonderful fresh colors and very well perforated, in perfect condition mint never hinged an outstanding quality of this rare issue! Expertized Diena. Michel 900,- €. 3831 ✉ 114 7 A. 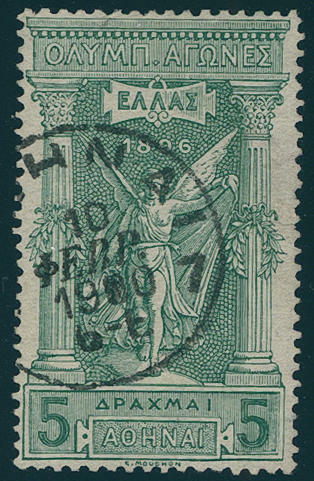 Green, in perfect condition on beautiful cover with additional violet one-line cancel \"PRENTAÖ time\" and one-line cancel \"Paquebot\" with two ring cancel \"Edinburgh 18. MY. 31\" in England cancelled, to the United States used. Rare! 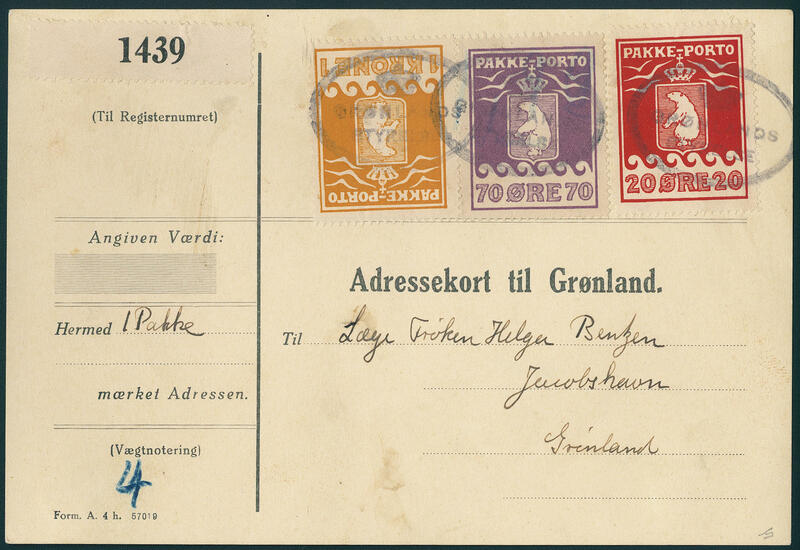 3832 114/18 Views from Iceland 1925, all five values wonderful fresh colors and very well perforated from margin of sheet, in perfect condition mint never hinged, without any signs. Michel 700,- €.